This Mars Global Surveyor (MGS) Mars Orbiter Camera (MOC) image shows part of a large landslide complex off the north wall of Coprates Chasma in the Valles Marineris trough complex. 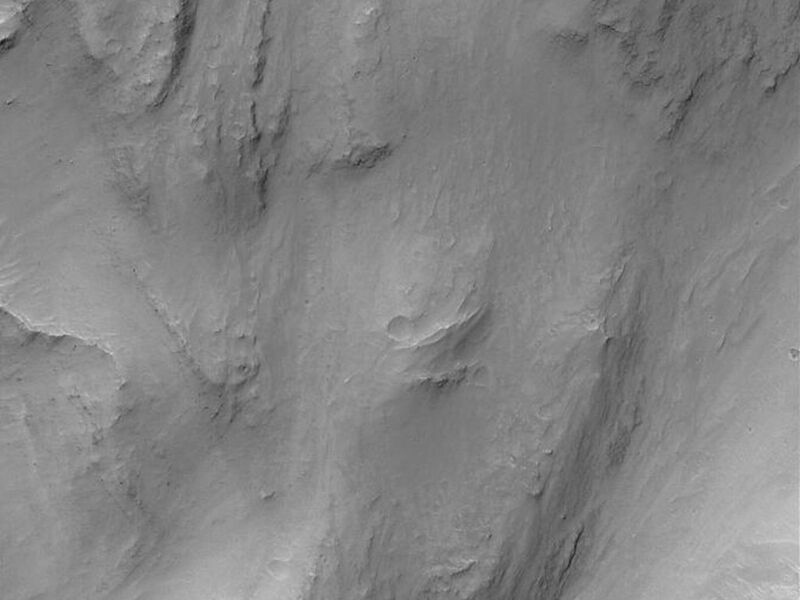 The wall of Coprates Chasma occupies much of the upper and middle portions of the image; the landslide lobes are on the trough floor in the bottom half of the image. Large boulders the size of houses can be seen on these landslide surfaces. This image is locatednear 13.9°S, 56.7°W. 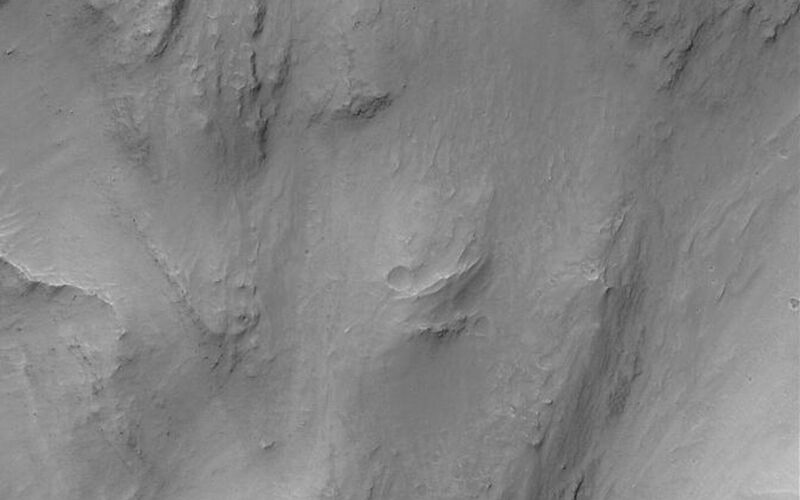 The picture covers an area about 3 km (1.9 mi) wide. Sunlight illuminates the scene from the upper left.